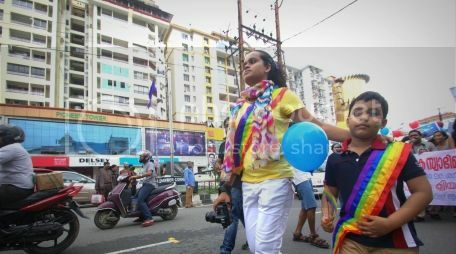 Ever since I returned to Kochi after my five years in Mumbai, I am sensing a different vibe from the current generation - a vibe of open-mindedness, of cosmopolitanism and of breaking away from the conservative shackles exhibited by the previous generations. That feeling was proved true when almost 500 people gathered in Kochi last Saturday to march for the 5th Kerala Queer Pride. 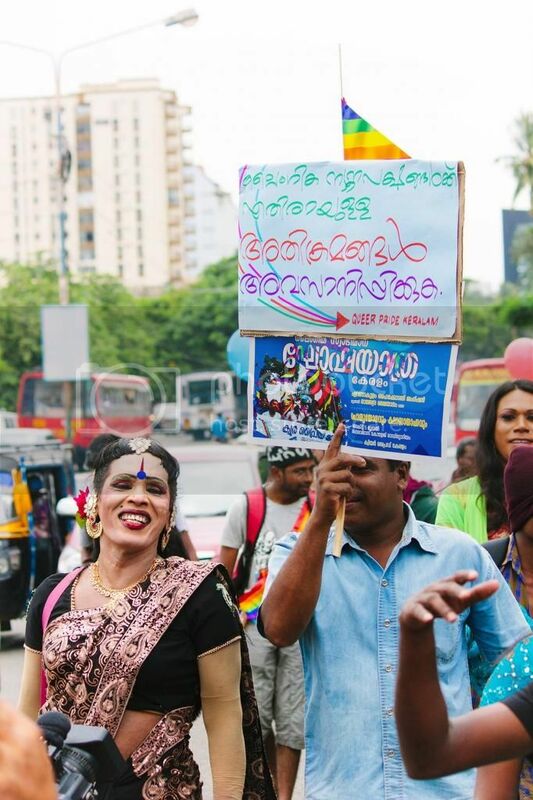 The Kochi queer pride march had many firsts to it. 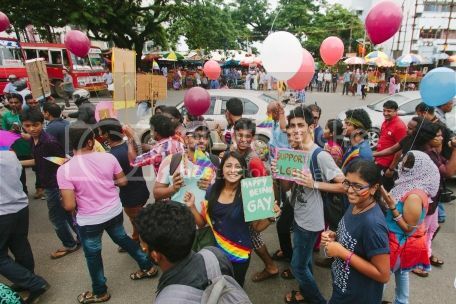 - This was the first time a queer pride happened in Kochi. 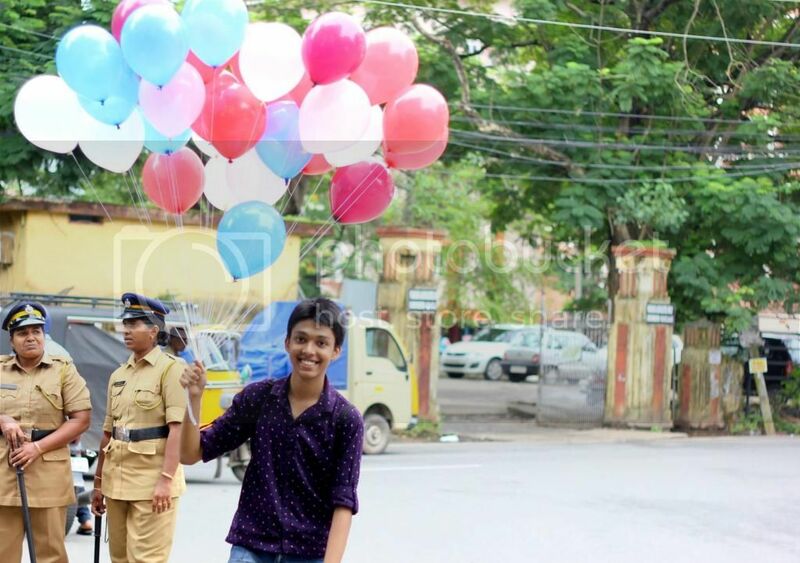 Previous editions were held in the neighbouring district of Thrissur and once in Calicut. 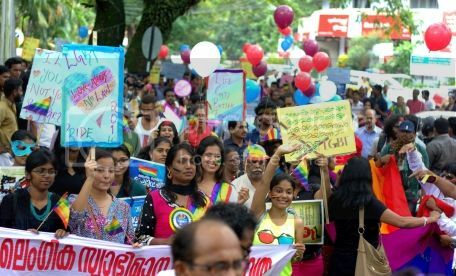 - This was the first queer pride that was held in Kerala after the Supreme Court struck down the earlier Delhi High Court verdict which had decriminalized non-penile-vaginal sexual acts. - This was the first pride march in Kerala which saw people, barring one or two, marching without any mask. - Kerala queer prides started happening after the High Court verdict, hence all the previous versions were celebrations of sorts. 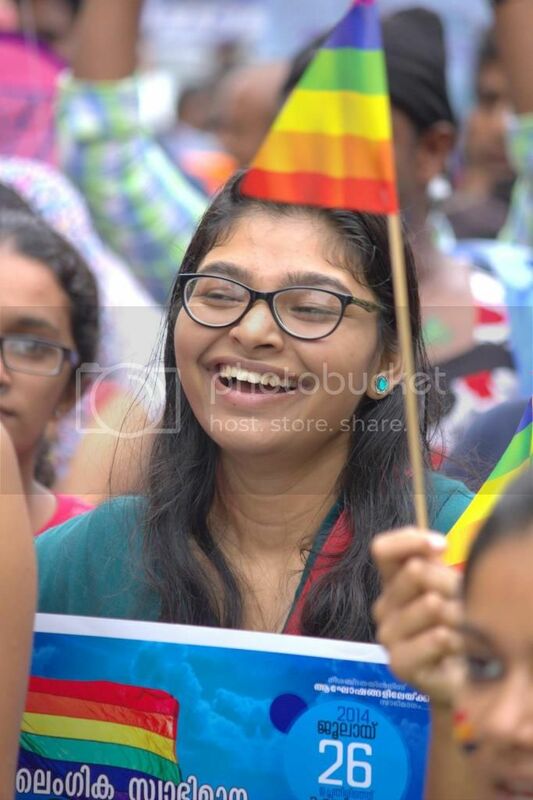 This time, now with the Supreme Court verdict, the pride also had the flavour of protest - demanding to do away with the Section 377 law. 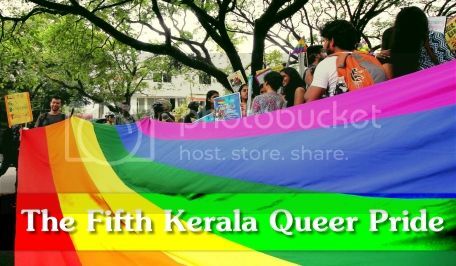 - The Kochi queer pride also saw the highest participation so far compared to any of the previous Kerala queer pride editions. 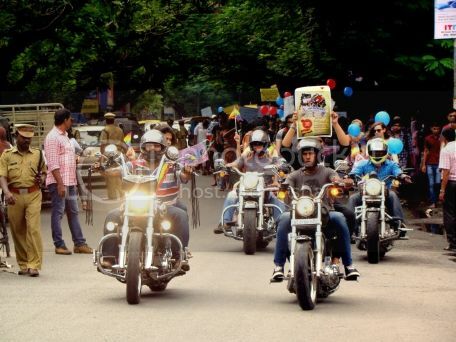 The pride march was flagged off by the celebrity and TV personality, Ranjini Haridas, who had spoken passionately in favour of the LGBT community in a news interview at the time of the Supreme Court verdict. 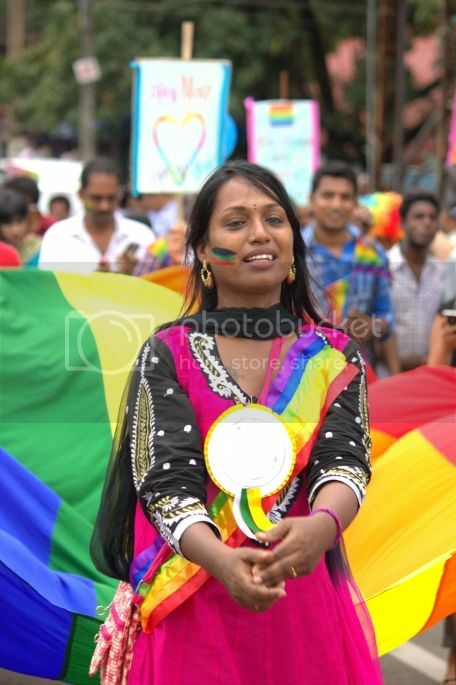 Before the flag off, she addressed the gathering saying, "As a woman I feel safer in the company of people from the LGBT community. 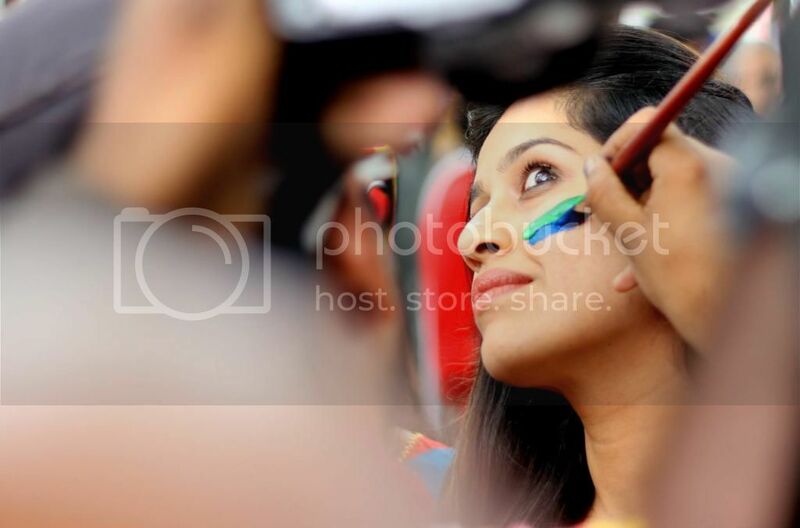 They are some of the most passionate, talented and honest people I know." 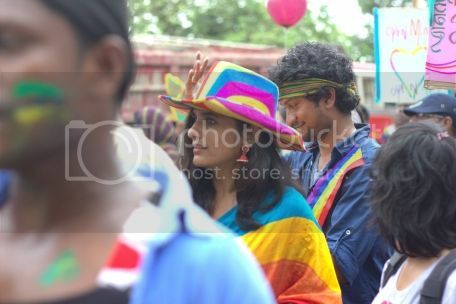 In an interview with Deccan Chronicle, she further adds, "We are brought up in a society where heterosexual relations are a norm and anything else is considered immoral. 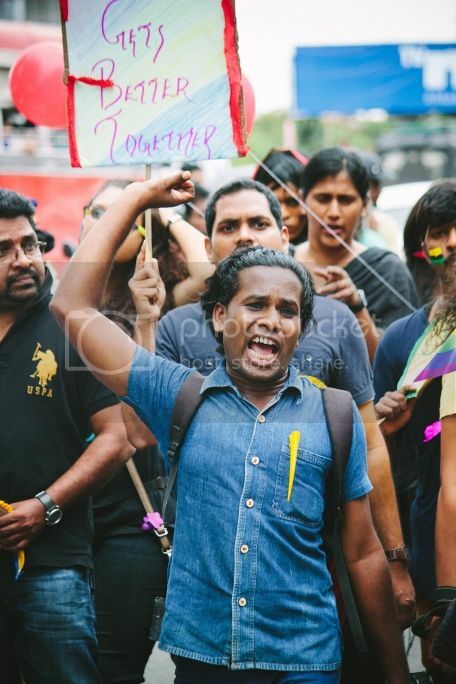 However, if you ask anyone in the LGBT community, they will tell you it's not really a choice, that they were born this way." 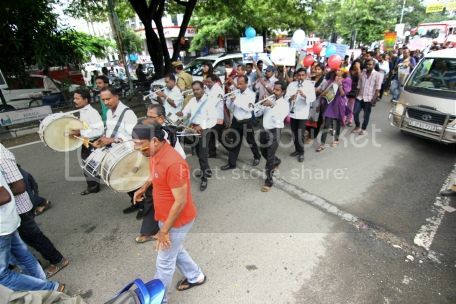 By now the monsoon clouds were gathering fast, darkening the sky. But it felt like even the nature was supporting the cause - throughout the 90 minute walk, not even a drop of rain tried to interrupt us. From the premises of the Kerala High Court, the march commenced with a group of Harleys leading the way. 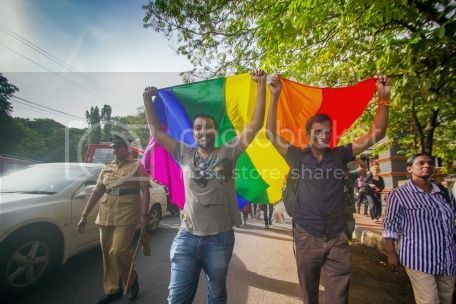 A line of police accompanying on one side to control the participants and traffic, the procession inched forward shouting slogans - “My Body My Right!”, “Section 377 Down Down!” While the band played popular Malayalam and Hindi songs, some participants danced to the tunes, some waved the rainbow flags and colourful balloons; some held the placards with pro-LGBT messages – a visual which was a first for the Kochi public, attracting many curious onlookers. The pride walk finally culminated at the Rajendra Maidan, post which the public meeting and cultural performances were held at the nearby Mahrajas College hall. The fifth Kerala Queer Pride march was organized by Queer Pride Keralam – a coalition of approximately 30 organizations working on art, culture, social, human rights and environmental issues. 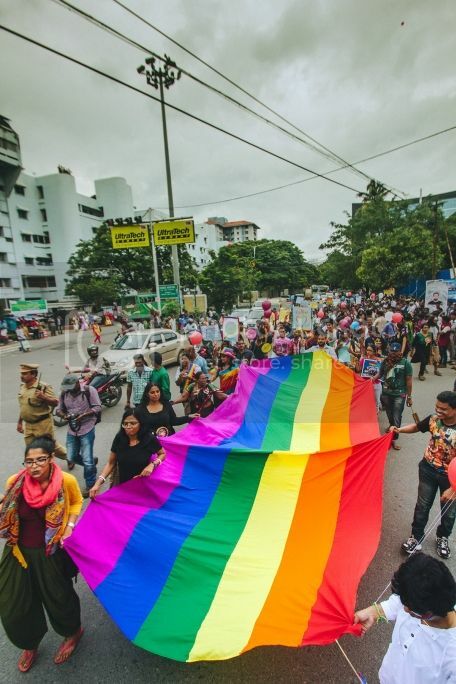 Apart from Ranjini Haridas, this year’s march saw the presence of well-known personalities such as Kalki Subramaniam - the transgender rights activist from Chennai, Shahabaz Aman – the Malayalam playback singer, Rekha Raj – the Dalit rights activist and Arvind Narain – one of the prominent lawyers fighting the Section 377 case in the Supreme Court and the Head of Alternative Law Forum, Bangalore. A memorandum aimed to be presented to the Kerala government, which puts forward the many urgent needs of sexuality minorities of Kerala, was also signed by hundreds of people who attended the public meeting. 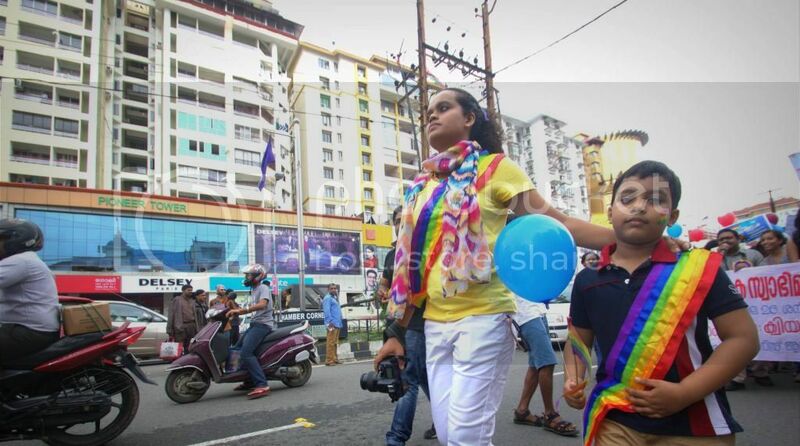 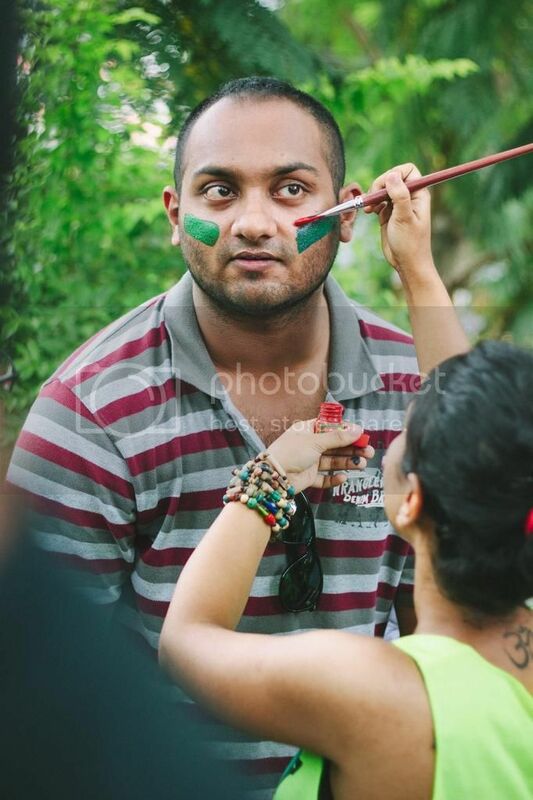 To see more photos of the Kochi pride march, click here.